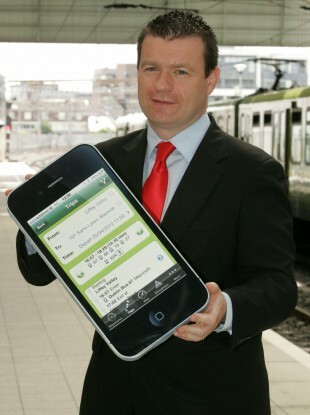 Minister of State Alan Kelly launching the service last week. LAST WEEK, the National Transport Authority launched a new online Journey Planner to help the public plan their trips around Ireland using public transport. The iPhone app has been released today and is currently available as a free download from iTunes. The Journey Planner will be integrated with real-time passenger information for all Dublin Bus and Bus Éireann stops, as well as Luas and DART services, in the coming months. Minister for Public Transport Alan Kelly and the NTA have appealed to users to submit their feedback to the Transport for Ireland service so as to improve the options suggested by the service, including local walkways and recommended shortcuts. Have you used the Transport for Ireland website or Android app yet? How have you found the suggested routes: did it help you find your way – or send you out of your way? Email “Journey Planner iPhone app released ”. Feedback on “Journey Planner iPhone app released ”.